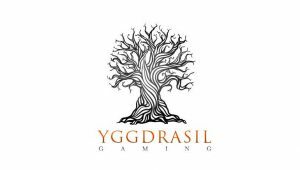 Yggdrasil enhances its Blackjack offerings - Follows the Live stream! Game providers are always looking for new ways to expand and attract new players. And because of this, the innovation we’re seeing is nothing less than amazing. With that said, Yggdrasil Gaming has officially gone live with its new game Lucky Blackjack. At the same time, they’ve also updated Sonya Blackjack, which now accepts side bets! Which means that Yggdrasil Gaming is not only famous for the quality of its slots. But soon the innovative game provider could become a big name for table games too! So, let’s reveal all the cards and details on the new Blackjack games by Yggdrasil! As many of you already know, Lucky and Sonya are both dealers on Yggdrasil blackjack table games. In fact, the 3D characters really stand out from any live dealer games currently available on the market. Not to mention, the tables can sit up to three players at once. So you still get that same live casino experience. But recently the games got an update. Which means that the gameplay is much faster and smoother than before. Plus, thanks to the update you can now relive winning hands in full video detail. So that’s pretty amazing, as everyone loves a good instant replay after a win. Also, it’s worth knowing that, Yggdrasil’s table games are created on the REDUX platform. All and all the new REDUX platform uses motion-capture technology to model the dealer’s movements and to deliver a true cinematic experience to players. With that said, it looks like Yggdrasil’s users will get a treat next time they play. Going forward, we expect to hear more details from Yggdrasil and perhaps even see a roulette game go live. After all, a roulette game would be a natural evolution for the game provider who recently created a table game division!